So it’s with some irony that Amazon has begun to do the reverse, opening a string of brick-and-mortar stores to take on those giants, beat them at their own game, and utterly dominate the world of retail. Digital price tags alongside every item will show the regular price and a cheaper Prime price — that’s right, you can shop for less if you’re an Amazon Prime member. 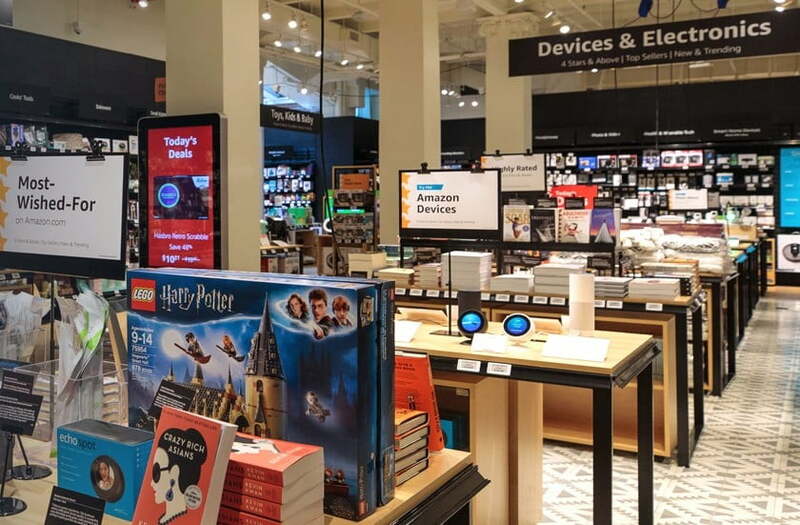 With Amazon 4-star, the company is testing the waters to see if its latest physical-store idea flies. There’s no suggestion at this stage that Amazon is planning to open additional Amazon 4-star stores.